Whether you choose to use a lettings agent to manage your buy-to-let property or decide to manage it yourself will depend on a whole host of factors. In the case of so-called 'accidental landlords' forking out money to a letting agent every month may not be financially viable and there are many other pros and cons of using a letting agent to consider. Some landlords also prefer to be in control of their property rather than relying an agent to ensure everything is as it should be. However, self-managing your property is a decision you should not take lightly. "Property management requires process and discipline," says Phil Steed at Martin & Co Twickenham. "It also requires expertise across many areas - evaluating calls for maintenance and support, sending the right contractor at the right time and making sure those who have access to the property are trustworthy and properly insured." When deciding whether to self-manage or engage a letting agent, consider our seven perils of self-managing below. Most letting agents offer a 'let only' service where they will market your buy-to-let property, undertake viewings, find a tenant and reference check them, draw up a tenancy agreement and conduct a check-in inventory. If you're thinking that is a lot of work then you're right! Agents also have the experience of spotting potentially bad tenants early on, saving you what could become a whole lot of hassle further down the line. How much do you value your time? If it's incredibly important to you then self-managing your buy-to-let is probably not for you. As a landlord you have a responsibility to proactively look after the general maintenance of your rental property, as well as dealing with any emergencies that might arise. What is an emergency? Well, it's essentially anything that has an impact on the health, wellbeing or safety of your tenant. A heating breakdown, serious plumbing fault, damage to windows or doors that causes a security issue or an electrical failure would all be classed as an emergency. Which means a whole lot of hassle for you as a self-managing landlord. While your tenant should be expected to change a lightbulb or unblock a sink without bothering you, as a self-managing landlord you will be expected to get on the case quickly with more minor maintenance issues. Whether fixing a problem yourself or drafting in a tradesperson, you'll need to remember to give your tenant adequate notice, while also ensuring you deal with the issue in a reasonable amount of time. Using a letting agent to manage your property can save you time and stress. A good lettings agent will have a trusted list of tradespeople they use on managed properties, giving you back your time and peace of mind. It makes sense, but again eats into your time, to visit and inspect your buy-to-let property every six months if you are self-managing. It's an opportunity to have a look around your property and assess its condition, while also picking up on any maintenance issues that need attention. Again, a managing agent can take care of property inspections for you and report back on any issues that may arise from them. "Successfully managing a property does not only involve calling a plumber when there is a leak, but starts with regular visits to the property," says Dennis Roodhardt of Martin & Co Dover and Folkstone. "These visits help spotting potential issues - especially those that sometimes go unreported by the tenant. By visiting a property, you also give a signal to the tenant that you actually care about the them and the way the property is maintained, while also giving a signal to the tenant that any abuse will be picked up on." Ah, yes. 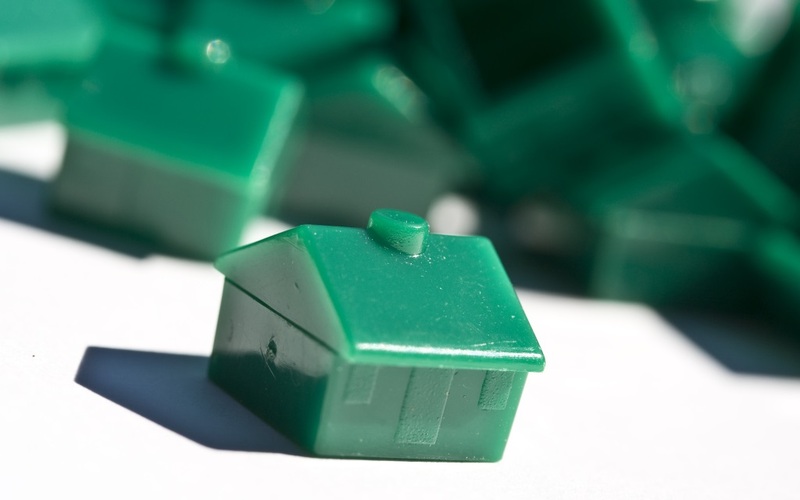 The biggest headache for a self-managing landlord. While most cases of unpaid rent are down to perfectly innocent reasons, like an incorrect digit when setting up the standing order, some tenants are experts in making excuses and one month of arrears can quickly become four or five if you, as a self-managing landlord, don't get to grips with the problem early on. "Commercial considerations are often overlooked, too," says Phil. "Reviewing rents and market conditions, having strong negotiation skills from a position of knowledge and expertise and assessing if a tenant is delivering value when it comes to rent and wear and tear are all areas covered by a good managing agent." Letting property is a minefield of legal requirements and the penalties for not complying with many are severe. "Legal compliance can sometimes be put to one side and forgotten by landlords choosing to self-manage," says Phil. "There's a lot to think about - Energy Performance Certificates, legionella protection, legally-binding contracts and notices, tenant rights and obligations, unauthorised occupancy and the implications of ignoring status are just some." Under a full management contract with a good lettings agent, all these legal obligations will be taken care of, while the agent will also arrange any maintenance required through their own trusted tradespeople and respond to any tenant concerns. Firstly, another legal obligation falling on to the shoulders of self-managing landlords is ensuring your tenant's deposit is lodged with a government-backed tenant deposit protection scheme. Failing to do this can result in legal action and a hefty bill. A good lettings agent managing your property will look after this key obligation. Moreover, they will perform a full check-out inventory and advise on any damage that could result in some of your tenant's deposit being retained. In the event of a dispute, your agent will be able to advise and the deposit protection scheme will offer a mediation service to help you reach an agreement with your departing tenant. Here are three horror stories of self-management experienced by Phil and his Martin & Co team in Twickenham... They are not for the faint-hearted! "We were asked to handle a property that had previously been let and managed by a private landlord," says Phil. "The landlord had never undertaken an inspection and was called by the police who had been made aware of suspicious activity. They found a cannabis factory, holes in ceilings, re-routed power supply and more. We declined..."
"A private landlord in Chiswick came to us with a property that she had been 'managing for years'," says Phil. Since it was 250 yards from where she lived, she 'didn't need an agent'. That all changed when her tenants left without notice and had ripped out every radiator, kitchen unit and appliance and flooded the property. She had never inspected because 'they seemed a lovely couple'. "A landlord with a flat in Teddington had rented through us for eight years but then decided to do it himself to save money," says Phil. "He found the tenants and referenced them (apparently) then paid for us to draft the tenancy agreement. Nine months later he popped in to say that police had been called to the property by concerned neighbours only to find that it was being used as a brothel." "Some private landlords move to self-management after a bad experience with an agent," says Phil. "It's as important to choose the right agent as it is to choose the right tenant. They are not all the same!" "When the unexpected happens, your local Martin & Co has not only a power team available to remedy almost every situation," says Dennis, "but they will also have the expertise and the staffing levels to deal with these situations in a swift way. "Most horror stories in the papers and on the TV are of a landlord not visiting the property for sometimes years on end, only to find the property has been trashed by the tenant, followed by the 'they seemed nice people' comment."